Professor Dilson Rassier, Dean of the Faculty of Education, has been invited for a second year to Co-Chair McGill’s annual Centraide campaign alongside Deputy Provost Ollivier Dyens. Last year's campaign was an unqualified success, surpassing the goal of $500,000 and eventually raising $513,493 for Centraide of Greater Montreal. “I’ve had the opportunity to work more closely with the people engaged in the McGill Centraide campaign," recounts Dean Rassier, “and this really gave me an appreciation of how hard they work”. Centraide -known as the United Way outside of Quebec- boasts one of the highest rates of support among many charitable organizations in the city. Over 85% of every dollar raised goes directly back into the community, significantly greater than the average for other non-profit agencies -less than 75%. This year, Professor Rassier calls on members of the Education community to take up the challenge, asking that professors, students and staff consider making a donation. “We are very grateful for all of the contributions Centraide has received! It’s not only the large donations, of thousands, that are important. The small donations made by a large number of people also make a substantial difference. 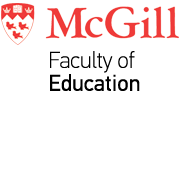 For example, if all of McGill’s employees contributed just $2 per paycheque, we’d surpass $700,000, which would be very significant for those who need help” said Dean Rassier. The campaign will be launched on October 4th 2017, with the March of 1,000 Umbrellas. You are all welcome to join us!